What does setting an intention mean? The idea can sound a bit vague and woolly, as if saying ‘my intention is to be happy today’ will actually make you happy. But, hey, guess what? It can! The whole idea behind setting an intention is to generate a mindset that you apply throughout a particular period of time – a day, a week, a crappy-looking meeting that you know is going to do your head in if you don’t approach it in a different way. If you wake up and set your intention for the day as something like ‘my intention today is to see the funny side of things,’ chances are you will. Every hiccup (real or figurative) will become funny, not frustrating. Intentions can be self-fulfilling prophecies and there’s a lot to be gained from giving yourself a ‘mind goal’. It’s easy to get swept along by events and caught up in the emotions they generate. Negative emotions seem particularly clever at grabbing us from out of nowhere. So, to minimise the risk of anger, irritation, stress, frustration and any other ‘aargh, why is my life so rubbish? !’ emotions, set positive intentions and let the bad stuff slide by. Devote time to understanding myself better through continuing my daily meditation practice. Really invest in my own personal development – I’m starting an Executive Coaching and Mentoring Diploma postgrad course this month as part of my proper job, and in the latter part of the year, I’m going to take a meditation teacher training course in my ‘spare’ time. Really take Veggie Runners and Roga to the next level. We’ve had some fantastic successes with both of them over the last year, but we’d like to be thinking about books, larger-scale events and collaborative relationships with like-minded people, companies and organisations. Run at least one marathon in the summer, and maybe another in the autumn. We’re thinking maybe Tromsø Midnight Sun in Norway and/or Loch Ness! Repeat the same Olympic distance triathlon I did last year, and take a little bit off my time. I don’t care if I finish second to last again, as I’m not in competition with the other racers, but I would like to beat ‘2015 Bibi’. Try new sports! Always. I started bouldering last year, and continue to love it, but I’m always on the lookout for the next thing. Mum bought me Stand Up Paddleboard classes for Christmas (she knows my exercise promiscuity well) and I’ve got a weird yearning to try horse riding, too. If anyone has recommendations for new sports, I’d love to hear them. Remind myself ALWAYS that it’s a privilege to be able to exercise. After the horrors of sciatica in 2015 – over 5 months when I could barely walk, let alone run! – I’m just happy to be in training again. 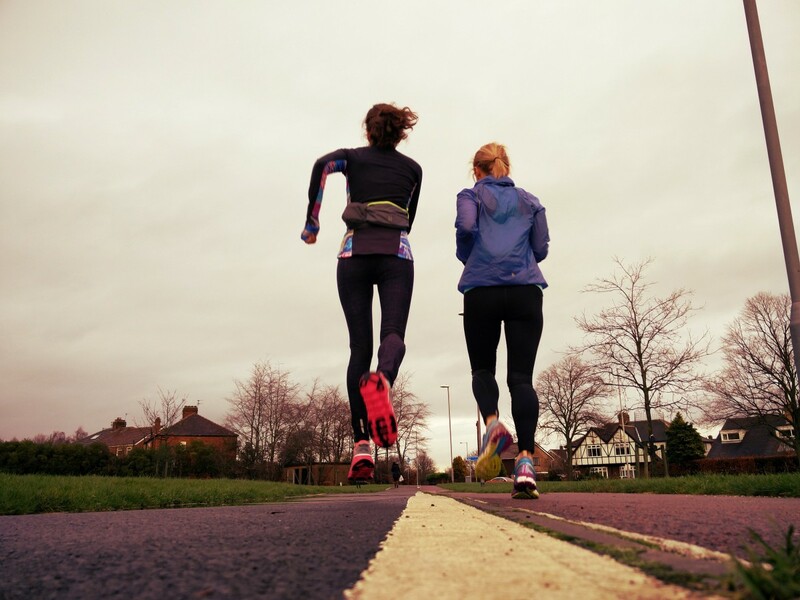 Be an empathetic run leader. I’ll admit that going from marathon fit to back of the pack has been a challenge. I’m taking this as an opportunity to get into the mindset of the beginner runner. It’s easy to get blasé when you’re leading groups and if the dreaded sciatica can make me a better run leader, I’ll take what it offers and use it this year for sure. Finish and use my England Athletics Coach in Running Fitness qualification. There’s a mind-boggling amount to know about running form, energy systems, micro and mesocycles, capilliarisation and a heap of other things that influence running performance. I love the mix of theory and practice and want to share the learning as widely as possible. Not be Mother of the Bride-zilla at Bibi’s wedding! People ask me things like what I’m going to wear (how do I know? It’s weeks away!) and what the seating arrangements are (no idea – I don’t even know who’s on the guest list!) I want Bibi to have her wedding, the way she wants it to be. Whenever she needs me, I’ll be there and I want to offer support but be as hands off as possible to ensure it’s her day (and her husband-to-be’s, of course). Sit still more often. Like Bibi, I’ve been meditating. I’m such a fidget I can’t quite believe how much there is to be gained from sitting still. I haven’t quite got the hang of making a regular slot for it though – I tend to be a bit ‘eek, must meditate!’, which is not really how it should be. Small and often will probably be best for me so I’ll aim for that. Continue to build Veggie Runners and Roga, because I really, really believe in them. I gave up a well-paid job as an academic to do more satisfying things for a living and working on both of these makes me really happy. Do bigger, better and ever more arty-mental Art Runs. They take a lot of planning but they’re such great fun – never a dull moment! – they’re worth every frantic email and phone call. Run for fun. I want to do as many totally mental, off beam races as possible. Foam, paint, wine, mud, water, obstacles, bouncy castles? If there’s a race with them, I want to do it! We’ll let you know in December whether our intentions worked out the way we hoped they would! making them public really helps you stick to them! Do you have any fun race recommendations or weird sports for Bibi to try? Bibi – you’ve reminded me I owe Jayne an email on the Midnight Sun marathon and I can thoroughly recommend the Loch Ness marathon. 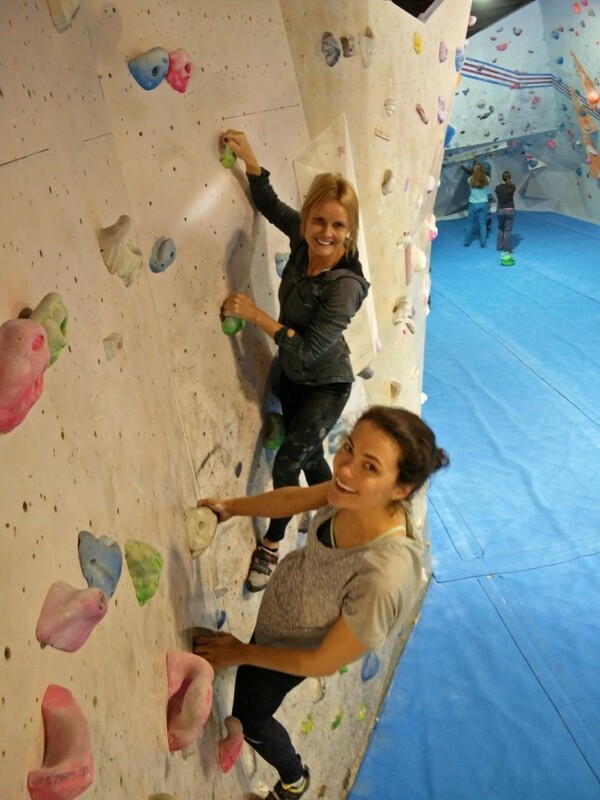 Enjoy the bouldering too. Jayne – enjoy the coaching training, I know you’ll smash it. Otherwise all the best for even more arty-mental Art Runs, hope I hope I can help somewhere along the way.